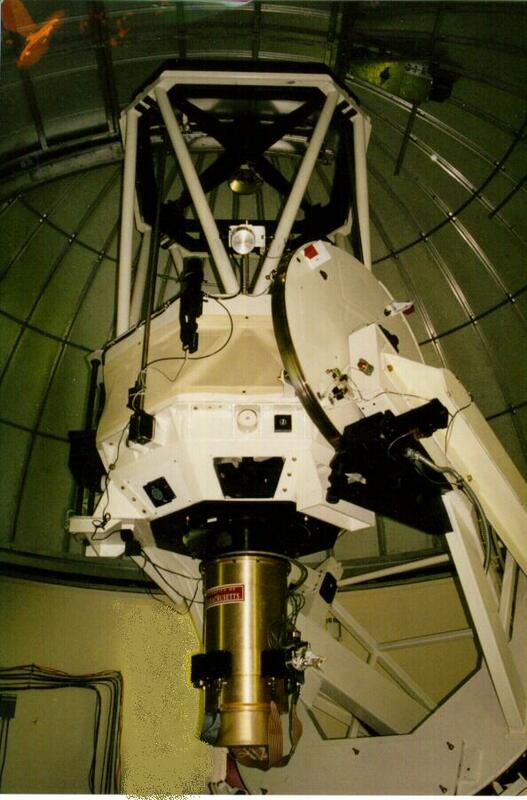 2MASS was carried out by a pair of identical, fully dedicated, 1.3 meter cassegrain equatorial telescopes and cameras that were located at the Whipple Observatory on Mt. Hopkins south of Tucson, AZ, and at the Cerro Tololo Inter-American Observatory near La Serena, Chile. You can look here to see pictures of the northern telescope being installed on Mt. Hopkins. Each telescope was equipped with a camera that housed 3 near-infrared arrays, so that the sky was surveyed simultaneously at J(1.25 µm), H (1.65 µm) and Ks (2.16 µm). The pixel size for the survey was 2.0". The survey began on Mt. Hopkins in June 1997. Southern Hemisphere observations began on Cerro Tololo in March 1998. All survey observations were completed on February 14, 2001. After the completion of the survey the telescopes were given to the host observatories. 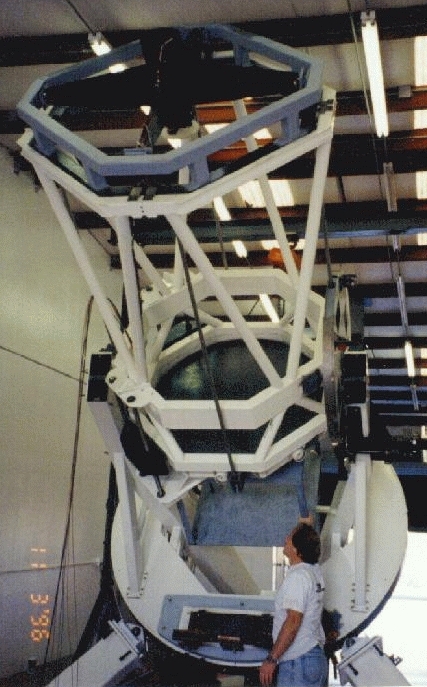 Below are images of the Northern Hemisphere telescope in production in Tucson, Arizona and later when installed in the Mt. Hopkins dome with the camera attached. M3 Engineering and Technology Corp. of Tucson was the prime contractor for both the Northern and Sourthern survey telescopes. Rayleigh Optical Corporation figured the primary and secondary mirrors. 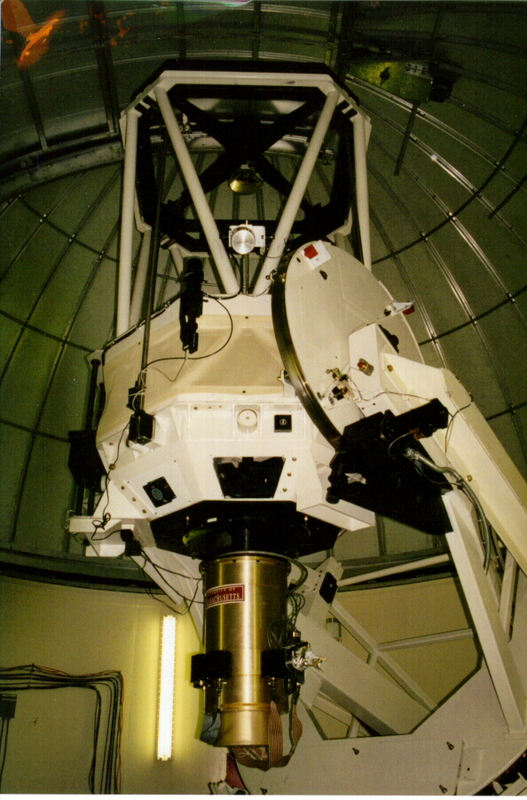 The telescope control system was provided by Comsoft.